Established in 1997, the goal of Saxony is to improve, not merely increase the number of Great Danes. 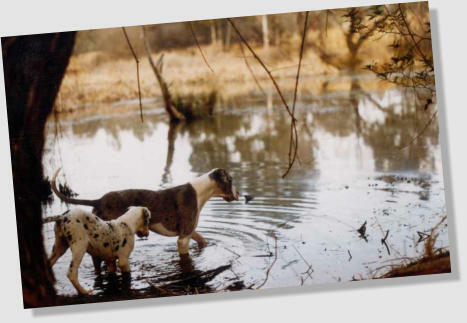 We strive to produce healthy, happy Great Danes that adhere to the breed standard and that are well suited to life as either a companion, working dog or show dog. All breeding stock is hip dysplasia and elbow dysplasia screened and temperament tested. All puppies are vaccinated, dewormed, microchipped and placed on contract to approved homes. We maintain regular contact with our puppy owners and often develop great friendships down the line. As ethical breeders our commitment to our puppies does not end when the puppy leaves us. Any Saxony dog (of any age) that cannot be kept by the owner for whatever reason comes back to us - we take full responsibility for every single dog we breed and do not palm problems off onto already overburdened welfare societies. 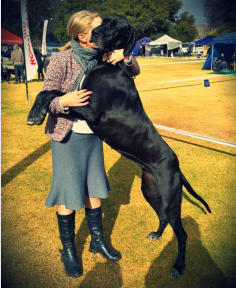 Saxony Great Danes is registered with the Kennel Union of South Africa (KUSA) and is a member of the South African Great Dane Association (SAGDA). Shannon is also an Honarary Life Member of this association. If you are interested in a Saxony puppy please email us for an application. Enjoy the site! PS. A special thank you to the people who contributed photos for our site, especially to David & Laura for the stunning main photo. tone and helps teach concentration skills. Upcoming Litters We are hoping to have a litter towards the end of 2019 - please keep visiting the site for updates. Please note we do sometimes know of older Danes in need of a home so please feel free to drop us a line in this regard too.